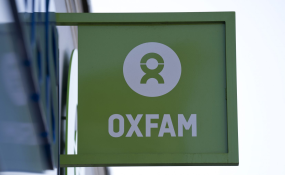 London — Bullying and elitism within global aid charity Oxfam have created "toxic" work environments and enabled sexual harassment by staff, an independent commission has found. "There is still a lot to do in terms of building trust within the organisation," Shannon Mouillesseaux, one of the commissioners, told the Thomson Reuters Foundation. Oxfam said it was making changes to clamp down on misconduct and would act on the report's recommendations. "It is painfully clear that Oxfam is not immune from sexual and other forms of abuse that stem from the abuse of power," Winnie Byanyima, Oxfam's international executive director, said in a statement. "To those who have experienced such unacceptable behaviour: we are sorry, I am sorry, and we will follow up on any cases passed to us by the Commission as a matter of urgency." It appointed the independent commission to review the charity's practices and culture in response to the Haiti revelations and is also conducting its own action plan to improve its culture and safeguarding. Workers described elitist behaviour and bullying in many offices, while "drastic inconsistencies" in handling safeguarding issues meant complaints were not always properly acted on, it said. Former victims and whistleblowers said they had faced a lack of accountability when raising complaints, with some saying they had been effectively pushed out of the organisation. The commission said work was needed to build trust with staff and recommended changes including action to create a single unified safeguarding system and to diversify the charity's leadership. Sexual misconduct claims at Oxfam have sharply risen since the Haiti scandal, reaching 155 in the 2017-18 financial year compared to 87 in the year previously.